This is a comparison of two very different experiences, for two very different women. The woman I was and the woman I am working towards becoming. I will also tackle the preparation I committed to months before leaving Perth, my goals, the assistance I was finally ready to accept, and the results thus far. I will start with my first trip. 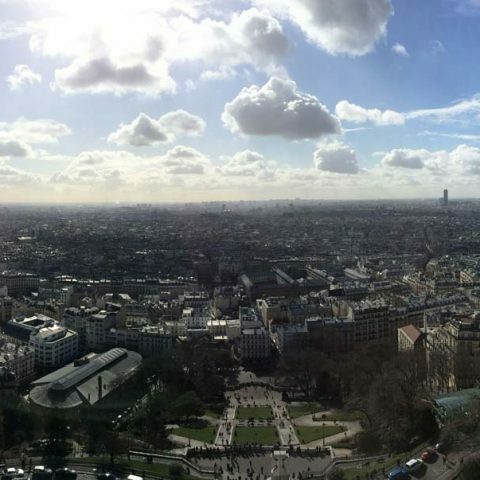 My partner and I took a month long holiday to Europe in March 2015, and spent the first eight days in Paris. I had the usual romanticised idea of what a holiday in Paris would be like; lots of wine, cheese, chateaus, romantic strolls under the trees at Luxemburg, croissants, baguettes, art, architecture, exotic food, old gothic churches, more food and did I mention the food. Unfortunately, I was not ready for the “Up”. When I refer to the “Up”, I mean the unrelenting amount of stairs that appeared out of nowhere. Enough that an avid FitBit user would accumulate their 10,000 steps in a single morning. 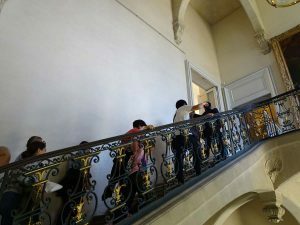 From the stairs in Versailles and the slope of her beautiful gardens, to the spiral staircase up the Sacré Cóeur in Montmartre as well as the steps you need to climb before you take in the best view of this amazing city. Plus, there is so much to see and do that you spend most of your time on your feet. This is a holiday that won’t see a first time visitor sitting on their arse, and isn’t for the chronically unfit. We had hired a Vespa (or as I like to call it, a “meep-meep”), which cancelled out a lot of the pain from walking all over the place. 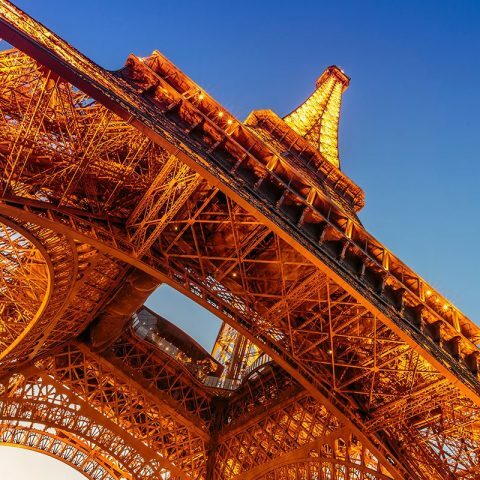 My partner is an experienced motorcyclist and had the confidence to tackle the very aggressive driving habits of the French and different road rules. However, that didn’t save me from looking like I had drowned in my own sweat after climbing step after step, hill after hill. 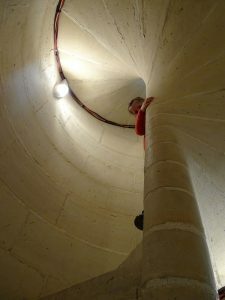 Tackling 100 odd steps to check out the oldest church in Paris, (we were able to skip some of the steps because of the meep-meep). 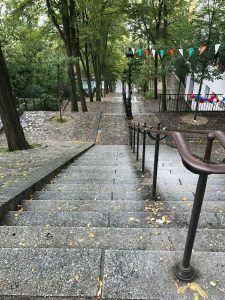 Sacré Cóeur in Montmartre has an extremely relentless amount of stairs that lead to the top of the hill where it sits. Then, in my very embarrassing state of exhaustion, to take on three hundred to get to the top was like asking me to run a marathon with no training. My partner is uber fit; in fact while we were over there he was set to run the Rome Marathon! So very, very proud. But to be honest I felt very small and insignificant next to him, which really messed with my almost non-existent self-esteem and thus made my temper flare a few times. Talk about putting a bit of a dampener on the holiday. I felt gross most of the time, and that meant I really didn’t want to be photographed. 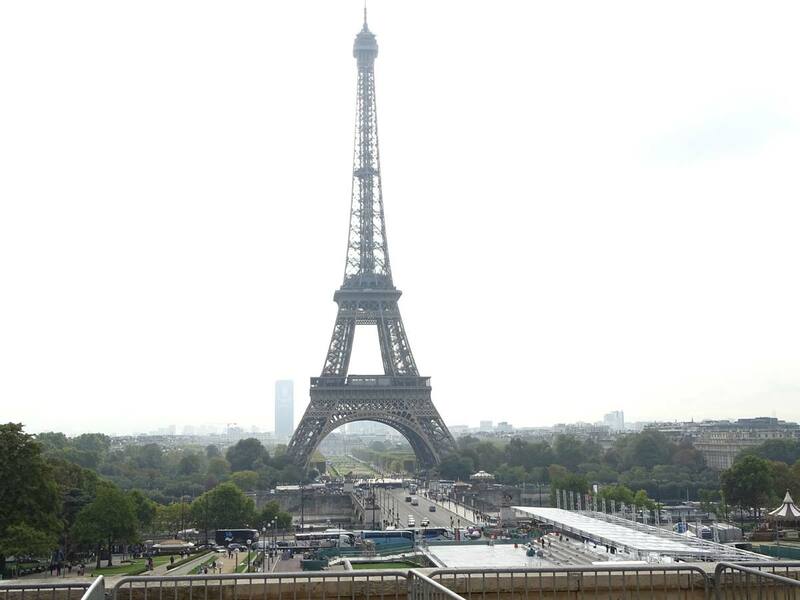 Don’t get me wrong, I have fond memories of my first time in Paris, if I didn’t I wouldn’t have have gone back. 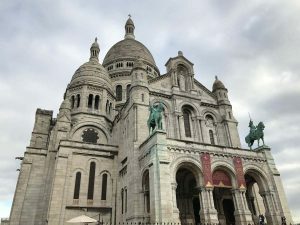 There is no escaping the fact that Paris is beautiful with so much to offer, but it was brutal on my unfit body, and almost killed what self-esteem I had left. I turned a corner at the start of 2017 and started down a road to a healthier lifestyle. The previous year was unkind to me and it was time to pick myself up, join the land of the living and start taking the time to look after myself. I hadn’t had a smoke for about fifteen months so that was sorted. I changed my diet, put myself through a bit of an internal clean out and started exercising regularly. My body was weak and my muscles sore after every gym visit, but I had made a start and had changed my unrealistic expectations to more attainable goals, focusing on fitness instead of aesthetics. It was hard to do, but lifestyle changes are always harder at the start. I had anxiety attacks I had to work around everyday before going to the gym. These attacks were mainly brought on while, (believe it or not), putting on my work out gear and tying my laces. I would get heart palpitations, temper tantrums and a loud voice in the fore front of my mind telling me that I am an embarrassment, trying to talk me out of going to the gym to make a fool of myself. It was an everyday problem. I kept going though, fighting back literal tears and fears, and by the time March had rocked around I had gained just enough confidence to hit the main floor of the gym for squats and medicine ball throw downs. I was still afraid of embarrassing myself and it still took me a lot of effort to talk myself over the threshold of the gym entrance, but I had made progress. It was at this time that the chance of another trip to Paris had come up via a surprise 40th birthday present. 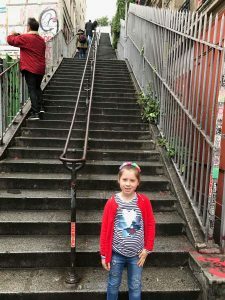 Only this time I was more clued in and understood that I needed to be physically fitter for this trip, especially since we were taking our six year old daughter with us. The trip was booked for September so I had time to up the ante and push a little harder every gym visit. But how the hell was I going to do it? Two weeks after my 40th birthday, as I was sweating it out at the gym doing the usual really light resistance exercises that I knew I could do and wouldn’t make me feel stupid; Victoria Loney introduced herself. What the effing huh?! This was not who I was used to being. I had never been in a position where I thought for one second I would be fit enough for something like that. I mean, for crying out loud, at the time I was around 100-110kg, at five foot two inches; very little strength in my non-existent muscles; and don’t get me started on my lung capacity or lack there of. So for me to say I want to climb one of the most recognisable tourist attractions in the world was a big statement. Vicky invited me to join in on a couple of “trial runs” with her small group fitness classes, (maximum of 4 women). It allowed me to get feel for the tempo of the sessions and whether I would be comfortable under Vicky’s guidance. The trials would also give me a base line to what I was capable of at the time, which wasn’t totally woeful, but close. I enjoyed the sessions and signed up.